On Friday, Space Shuttle Enterprise flew again. This time, in the footsteps of the recent flight of Discovery to its final resting place. Discovery is now set for permanent display at the Smithsonian. 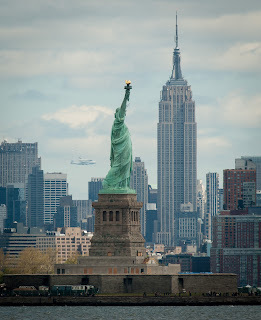 Enterprise is going to be place on USS Intrepid in the Hudson river in New York. If the Discovery flight atop a 747 is awe-inspiring enough, Enterprise will blow you away! 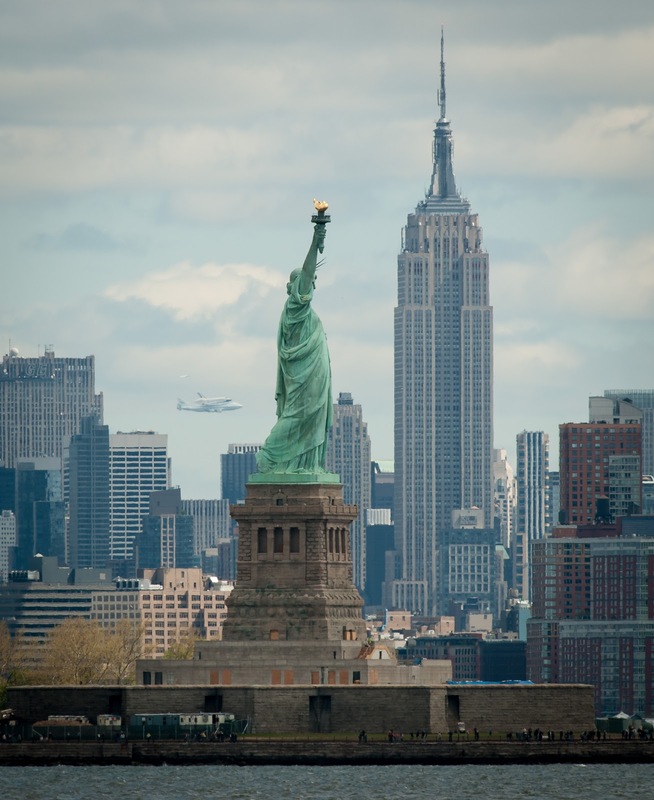 The famous city landscape of New York serving as a backdrop for the first Space Shuttle ever to make its final flight... It's great, but also the final chapter of a great part of history. In 1979, The Enterprise was unveiled with the stars of the hit TV Series, Star Trek and its creator Gene Roddenberry.